It’s an inevitable part of life for mothers, clothes shopping for their kids. 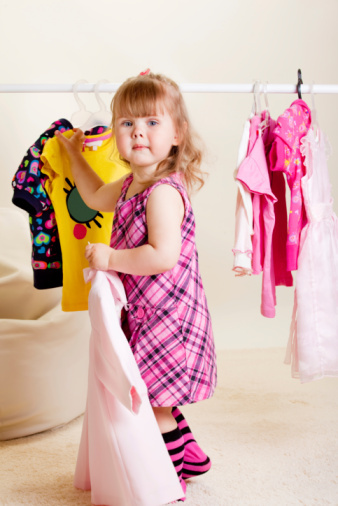 Certainly in the early years it’s easy, mum chooses what she likes for her baby – toddler – preschooler. However before too long your children develop their own tastes and preferences of what they like to wear or what they do not like. Now comes the hard part, especially for mothers of girls. On one hand we as mothers, and as a society are encouraging our girls to “express themselves with how they dress, to have a positive body image and to love who you are”. Our world compromises of fashion, beauty, exercise, nutrition, all much talked about. We are encouraged to dress for self expression. However on the other hand, as a parent you still need to guide and teach your child how to dress with age appropriateness, respect and dignity. The way we dress affects not only us but those around us, this is inevitable. The way we dress can make others uncomfortable or comfortable. The way a teacher dresses affects the behaviour of their students in class. Whether we like it or not people make judgments about us based on the way we dress. It may not be the most important part of us, but it is the first information about ourselves that we show other people. Well known Psychologist Dr Janet Hall, recently asked the question, when discussing the appropriateness of fashion for 12 years and under, whether “Mothers actually worry how men perceive their daughter” when they dress provocatively. She is quite direct in her encouragement of mothers to guide their daughters to dress with dignity and with modesty. Are you teaching your daughter to dress with dignity? Mothers are the primary teacher for their daughters at this age. Some mothers are better at guiding their daughters than others. Often on a shopping trip when a mother expresses her dislike at her daughters choices, her daughter will say “it’s no big deal, everyone is dressing like that” or “just because I dress like that doesn’t mean anything”. In the end they pester you and you end up giving in. It can be hard for mothers to say “no”. Some mothers say “yes” in the misbelief that it is a bonding moment with their daughter. But “No” is exactly what you must say. You must see the bigger picture for your daughter. You can make decisions about your hair, your behaviour, cleanliness and your style. While it may be self-expression it is also a bigger picture of self-respect. If you show respect for yourself by dressing with care – the people around you will sense your confidence and return that respect. It is showing others that you respect yourself. When trying to make a decision about clothes and appropriateness and a daughters insistence, remember that it is your money, your credit card and your decision, and your daughters image and dignity is paramount.